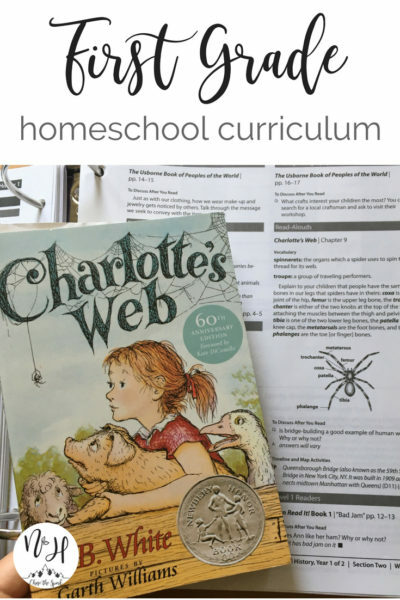 First grade homeschool curriculum can be fun! You have the flexibility at this age to introduce more academics but also keep it light. The first time I taught first grade homeschool, I didn’t use a curriculum. I looked up the local provincial guidelines and knew roughly what my daughter had to learn throughout the year. It was scattered, I looked up resources constantly and it felt all over the place. 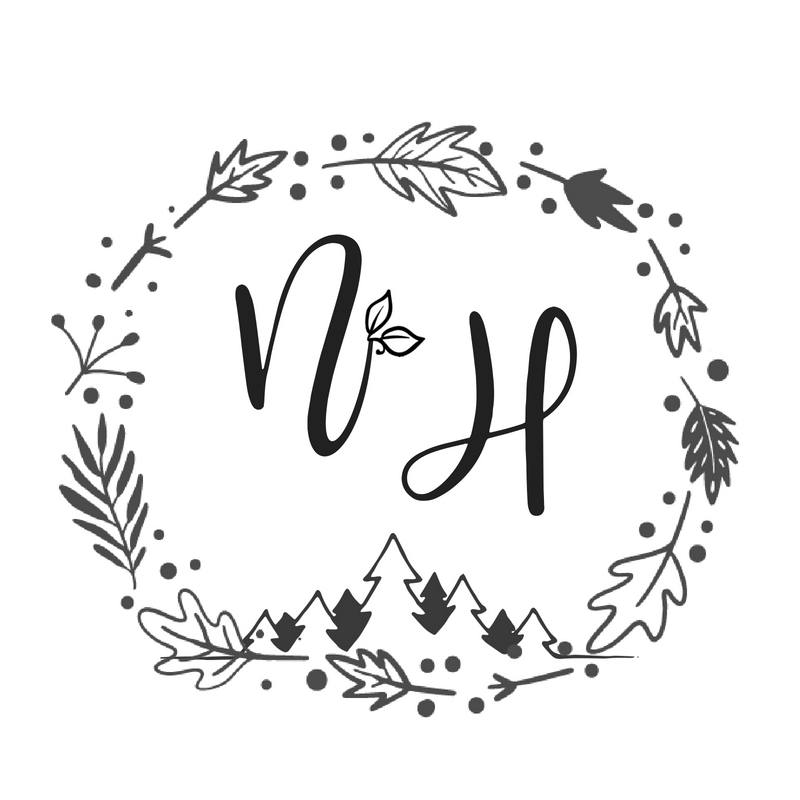 I was learning to homeschool, but didn’t have a guideline. I will say it’s really nice having a weekly guideline of planned lessons and reading. 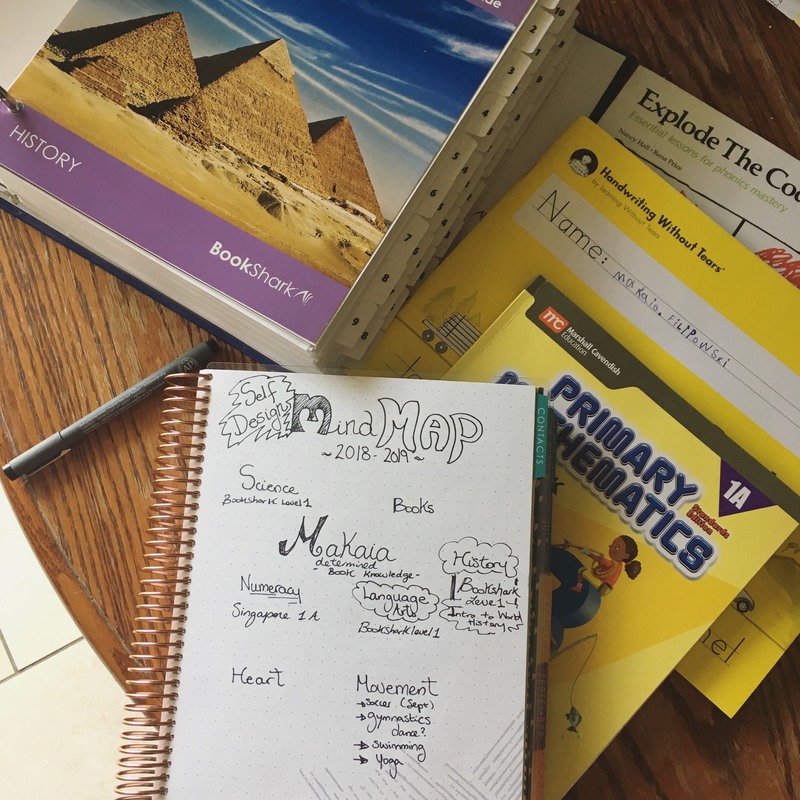 The days are structured into 4 days a week for home learning, which is a major bonus because home educators know that often something comes up to shift things around. On the extra day you can do anything you missed, or meet a local homeschool coop, or just take a day off! 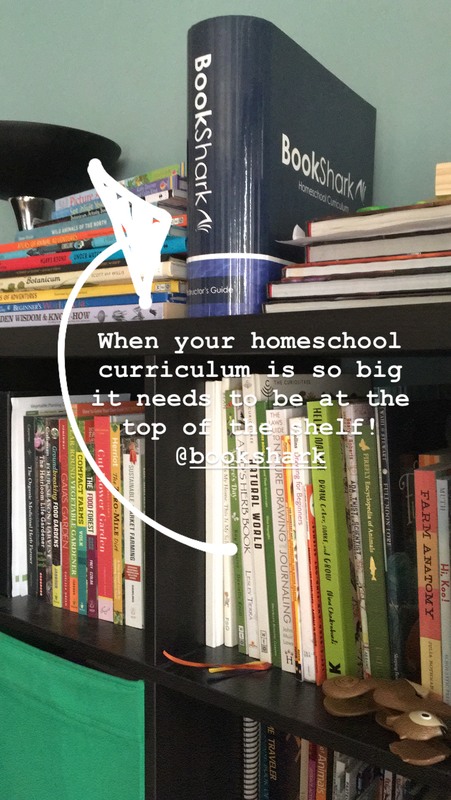 Bookshark is great for multi age homeschooling! 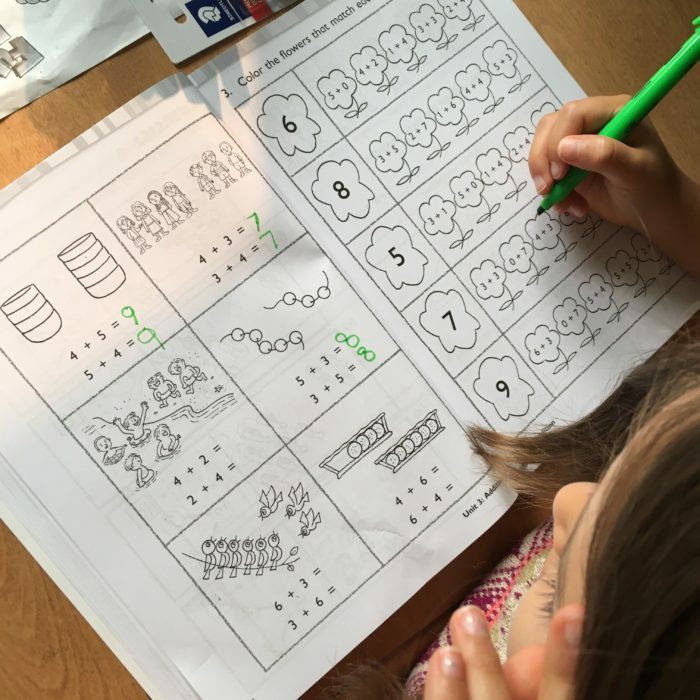 What does the Bookshark level 1 first grade curriculum offer? First of all it’s multi age level, the Bookshark level 1 is for ages 6-8, which is nice because every kid learns at a different pace. Our 2.5 year old happily listens to the read alouds with us! Bookshark offers all subject packages or subjects you can buy separately. * NOTE* I received reading with history level 1, language arts 1 and science level 1 from Bookshark to offer my honest opinion and review. 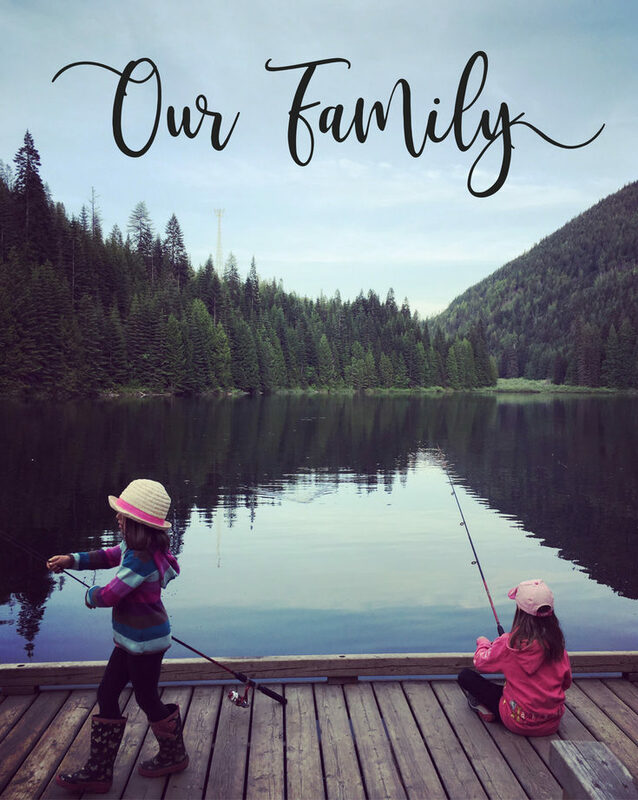 All thoughts and experiences are my own and unique to our family. 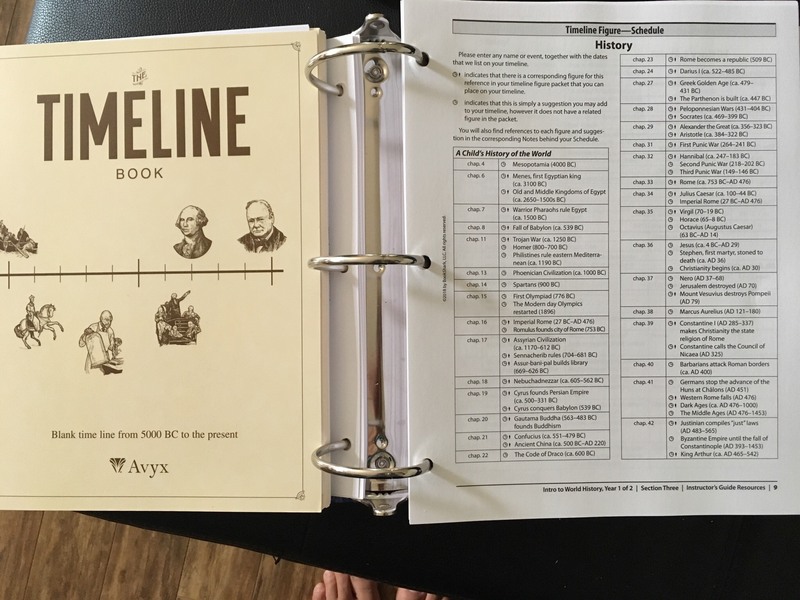 One of the strengths of Bookshark is in their reading with history packages. If you love classical education or you’re a history buff you’ll love it. So far our grade 1 isn’t as interested in the history as her older sister who’s 8. Because this curriculum is multi-age level, I can teach multiple students at the same time. I will say that the binder is huge. This is both a good thing, and a bit of a challenge bringing it out every day. I’ll be honest and say I prefer to have all my subjects separate, not organized together per week. The reason is that sometimes things change or fluctuate in the weeks. For example the kids loved Charlottes Web so much that we read it in 3 weeks, not the recommended 5. Which means I’m browsing ahead at the notes for Charlottes web (which are wonderful by the way!) and then trying to remember what weeks I was on. This is an easy fix! I plan on restructuring the binder back to each subject instead of week by week. 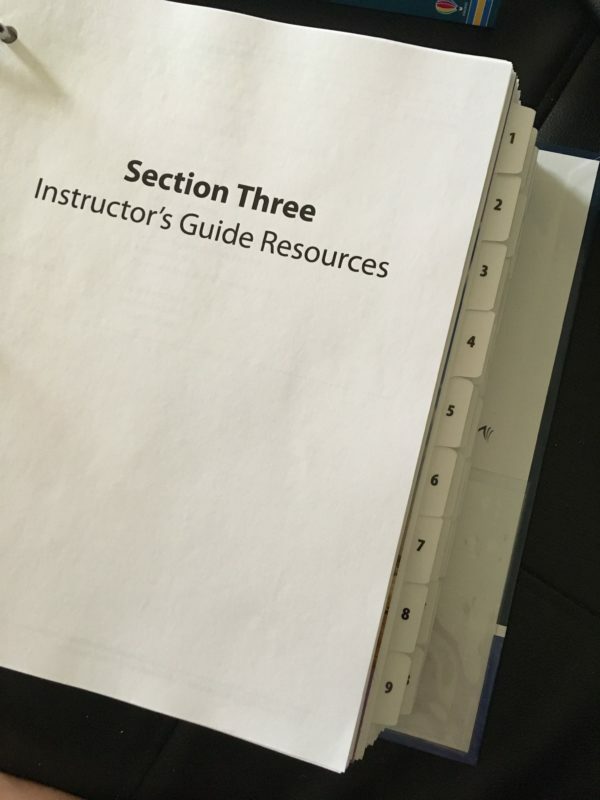 Another thing I changed was I moved the Section 3 resources to the front of the binder. 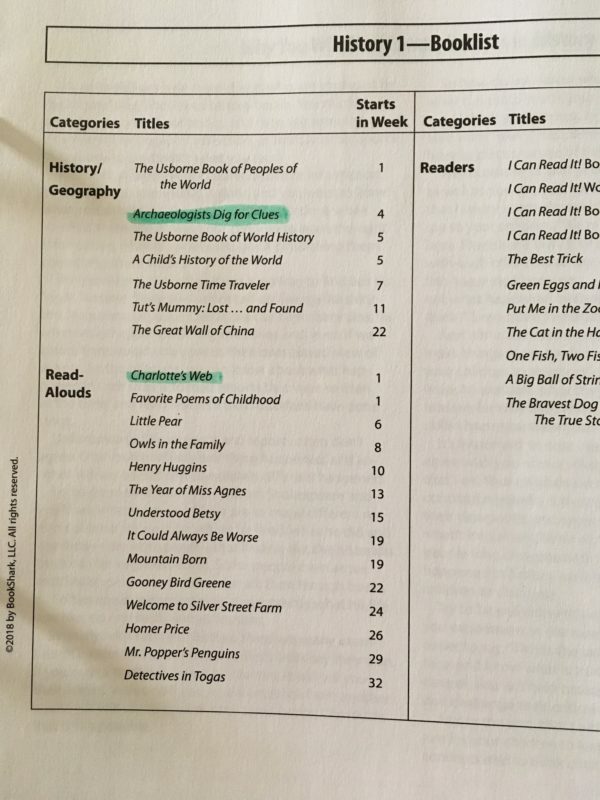 I REALLY like seeing a breakdown of the weeks ahead and the books we’re going to read before the planned weeks. That way I can highlight what we’ve done, or if we’re ahead or behind, it’s easier to make adjustments. I also prefer to have the language arts phonics and notes at the front for easy access instead of shuffling back past 36 weeks of excellent instruction! The kids are responding well to the science and history so far. I happen to have a more advanced grade 1 reader though, and she’s finding some of the primary readers too easy so we skipped ahead. If I was teaching my first daughter, this reading level would have been perfect. When you purchase Bookshark you can select your reading level! You can also select the type of math curriculum you’d prefer to use. I also added explode the code and handwriting without tears for increased phonics and spelling. 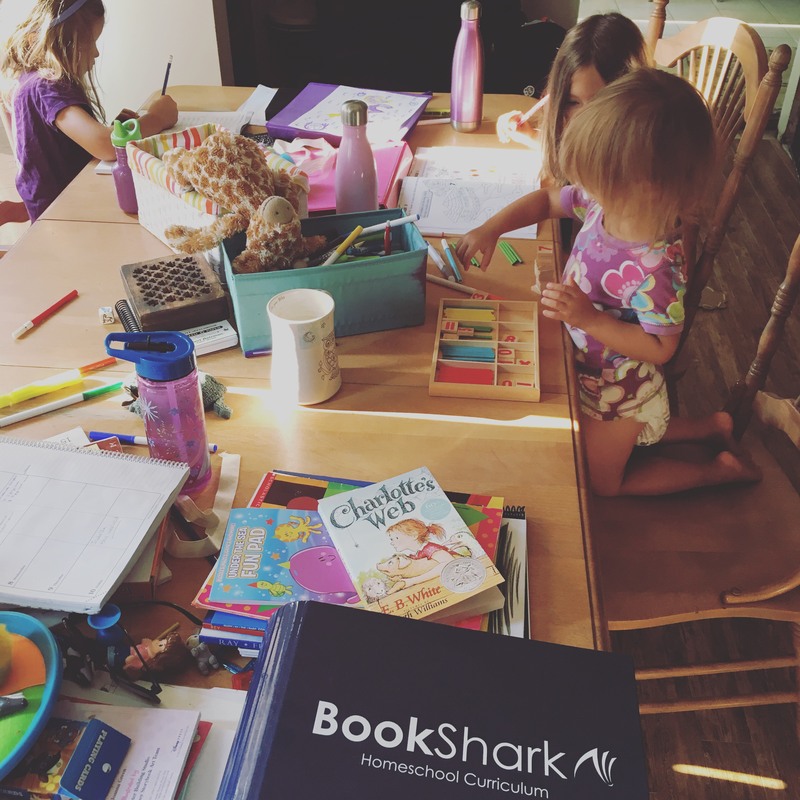 So far we’re really enjoying Bookshark level 1 for grade one homeschool curriculum! We are using all the same curriculum as you, except for Bookshark. (And now I can’t get that “Baby Shark” song out of my head.) 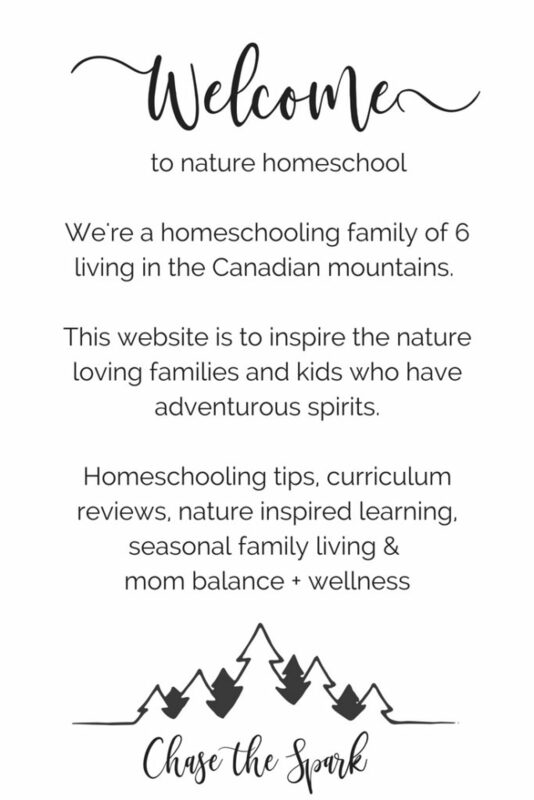 We are also using “Exploring Nature With Children” and “Well Educated Heart”.